At Ashbrook Roofing, we know what it takes to complete a roofing project. 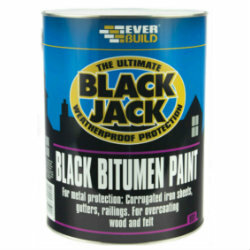 That’s why we’ve put together a selection of bitumen products, suitable for DIY enthusiasts and professional roofers alike. Bitumen, sometimes called asphalt or tar, is a product made from refined crude oil and is used throughout the world in paving and roofing applications. Did you know that we also stock torch on roof felt? We even have a range of protective clothing, to ensure that you stay safe when you’re using hot bitumen. Order your bitumen roofing products online today from Ashbrook Roofing. Get your order to us by 2pm and you could have your products the very next day. We’re also on hand to offer you free and impartial advice about your roofing project or any of our products.